Over the past few years, apps like Snapchat have tried to take the image- and video-sharing crown from Instagram, but “The ‘Gram” has found ways to remain comfortably seated on the throne. Not only has Instagram stayed in the lead, they have seen remarkable growth. Since Stories was released, Instagram has seen daily-active-user growth of more than 160 percent, eclipsing 500 million daily users. Three hundred million of those are Instagram Stories. Snapchat, by comparison, had fewer than 180 million daily active users, through the third quarter of 2017. 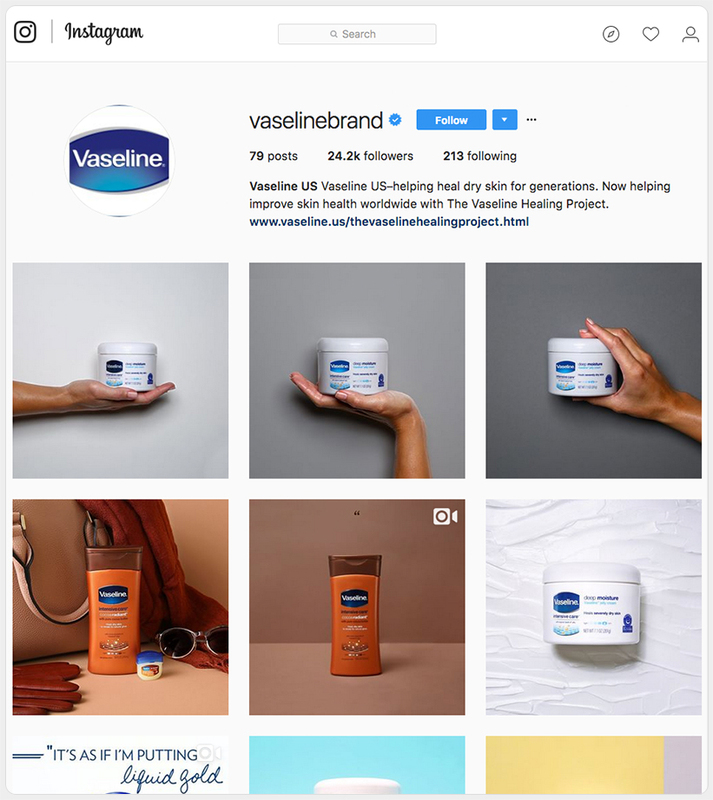 Instagram has become a pivotal medium for brands to use to market themselves. While the site has some serious strengths, there are also limitations you should understand in order to maximize your presence. Let’s go through four strategies to help you establish your brand as an Instagram powerhouse. 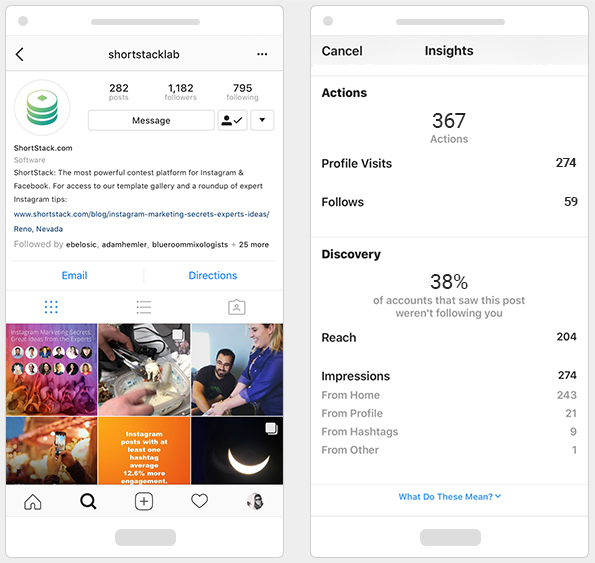 If you’re treating your business’s Instagram account the same way you’re treating your personal account, you’re missing out on key optimizations. Not only do business profiles allow you to display additional information, such as a contact button, they also provide some handy analysis tools. Most important though, Instagram now allows business pages with more than 10,000 followers to add links to their stories. Previously, Instagram only allowed verified accounts to share links in their stories. (Verified accounts are reserved for global brands and public figures because they are more likely to be impersonated.) The new policy opens up link sharing for business accounts with moderate followings. We’ll cover more on Instagram Stories later. With few exceptions, the link in your bio section is the only opportunity you are granted to get users from Instagram to your website or landing page. What do you have going on on Instagram at this moment? Are you running a giveaway? Promoting a significant sale? Hosting a fundraiser? Use your bio link to direct users to your current push. If you really want to capitalize on your bio link, create a landing page to act as a hub for all the links you’ve shared in your Instagram bio. How does that work? Imagine that a few weeks back, you were linking to a white paper you published, but now your bio link leads to a giveaway. You have a follower on Instagram run across your post regarding the white paper, so they click on the link in your bio as directed in the caption, but they’re taken to the giveaway and can’t find the white paper they were interested in. But if you have a landing page displaying a feed of everything important you’ve linked to from Instagram, people will always be able to find what they are looking for — and they’ll be introduced to all of the other cool campaigns you’ve run in the past. Who are you? What do you offer? What do you want followers to know about your company right now? Your profile’s bio should answer those questions, and you shouldn’t be afraid to add some personality to it. Your profile name and image should be instantly recognizable as well. For example, Restaurant Brands International (RBI) owns several recognizable fast food chains, including Burger King, Tim Hortons, and Popeyes Louisiana Kitchen. If you’re a Tim Hortons fan, are you searching for RBI or Tim Hortons? The objective is to be both searchable and identifiable. Knowing how to effectively use hashtags and mentions is vitally important to growing your influence on Instagram. When used properly, hashtags will help you gain exposure by creating or contributing to trends, and mentioning other users can introduce you to their following. As a business, you should create a hashtag Instagram users can use to interact with your brand. For example, if you run a pet supply store, you could encourage your patrons to post pictures of their dogs by instructing them to utilize a hashtag combining your brand name and “puppies,” e.g., #PetStoreNamePuppies. Brand-specific hashtags can be either an ongoing strategy or designed to be used temporarily, like #PetStoreHalloweenPuppies. To provide some extra encouragement for engagement, offer a weekly, monthly, or grand prize to users who post using your hashtag. If you want to get the most out of the Instagram content utilizing your hashtag, build a landing page to promote your initiative. Not only will this build buzz on Instagram, but it will also enable you to share the promotion and content being posted on other social media sites and advertising mediums. 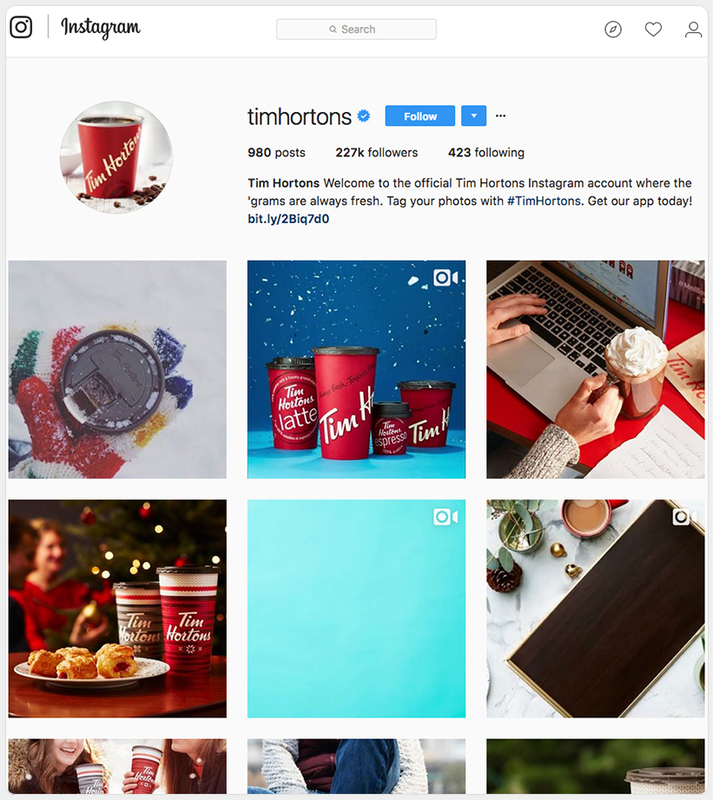 Hashtags related to seasonal or popular events will trend on Instagram, and on occasion, you should consider hopping on to gain some exposure. Any time a hashtag relatable to your brand trends on Instagram, it may be appropriate to either post fun content or make a statement. A word of warning, though. If the topic surrounding the hashtag is completely irrelevant to your products and services, or it’s controversial, avoid it. The last thing you want is to create negative associations with your brand. If the topic surrounding the hashtag is completely irrelevant to your products and services, or it’s controversial, avoid it. For example, back in 2014, the hashtag #WhyIStayed was trending in the aftermath of a video showing former NFL player Ray Rice in a violent altercation with his fiance. DiGiorno Pizza, in an attempt at humor, decided to post a tweet using the hashtag. I’m sure they never intended to make light of domestic abuse, as they explained, but neither had they looked into why the hashtag was trending before they sent out their tweet. They suffered some seriously negative PR as a result. Do yourself a favor and learn from their mistake. Like other social media channels, Instagram makes it easy to tag other users in your posts. Tagging other users can get those users’ attention, but it can also be a simple act of giving credit to a user who has provided value to you. If you can start a conversation with another user by capturing their attention, it can help you become visible to the user’s following. Likewise, users generally love when the brands they follow interact with them, so take opportunities to build better relationships with your followers. Again, use this tactic carefully as you don’t want to be accused of spamming. How do you get your post to the top of Instagram feeds? Stories! When you post a story, you will get prime real estate at the top of Instagram feeds for 24 hours, making Stories the perfect platform for content pushes you don’t necessarily want to live forever (though you can archive your stories). The other benefit, as mentioned earlier, is you can post links to your stories, if your business profile has 10,000 followers or more. 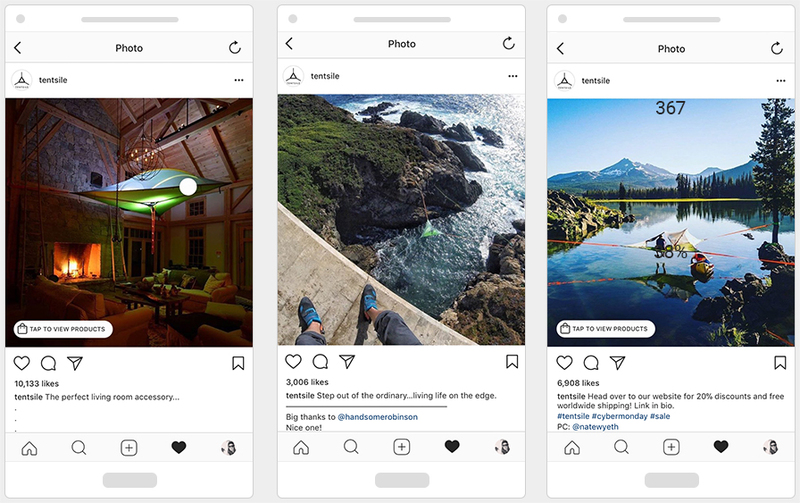 Plus, stories are made more discoverable through Instagrams Story Search, which uses hashtags and location to help users find your content. Let’s run it back: You get more exposure with your stories than you do using Snapchat, you get your content at the top of your followers Instagram feeds, you’re making your content more discoverable than you would with a post, AND you get to circulate more links without having to pay for any ads. That, my friend, is a no-brainer. 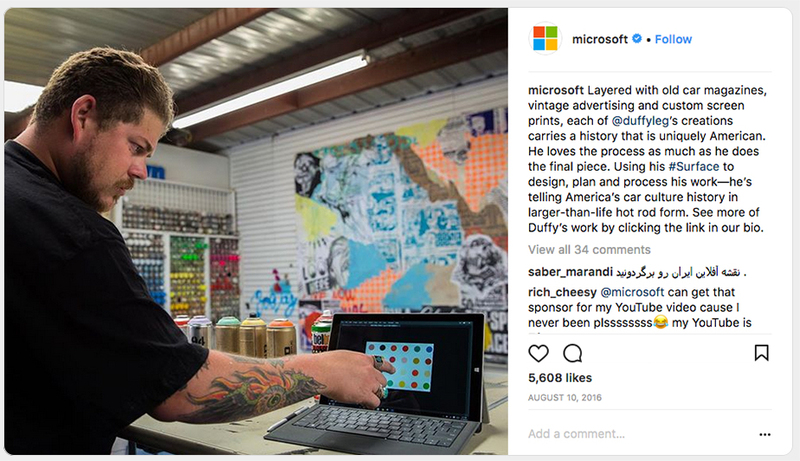 One thing user-generated content (UGC) has taught us is people love to see brands out in the real world. You can encourage people to post content about your brand with hashtag contests, and you can request permission to use people’s content, but don’t forget to join the party by creatively showing your brand off in the wild. If you’re looking for inspiration, there are a lot of companies posting some wonderful content already. One of my favorites is Tentstile, the inventor of tree tents. They regularly post pictures of their tents being used in different locations and environments around the world. So far, you’ve created recognition, collaborated with others, and given followers some behind-the-scenes looks into your brand. Now, how do you turn these followers into customers? 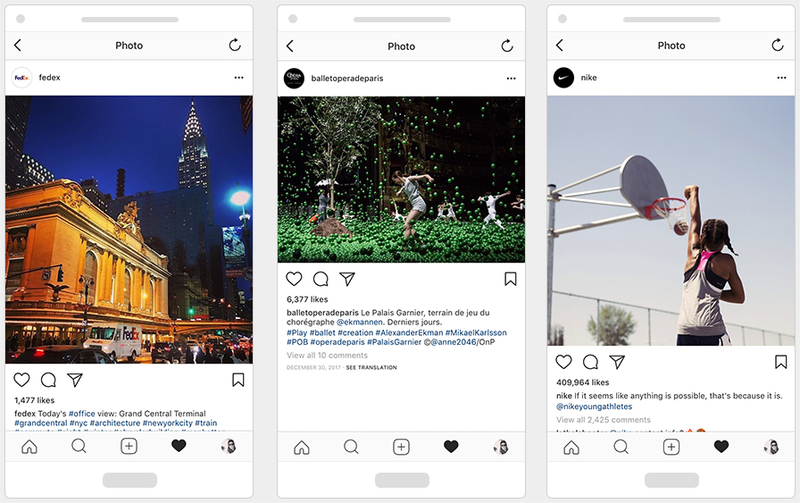 If your options for sharing links and directing traffic from Instagram are limited, what can you do to increase your results without having to pay for ads? 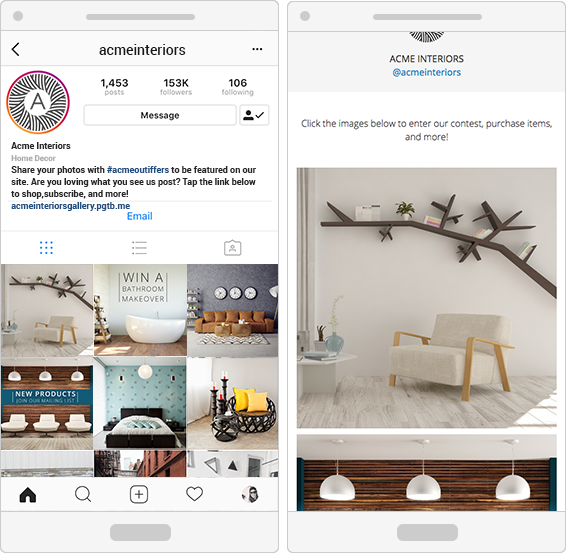 Hashtag contests allow Instagram users to enter a contest without ever leaving the site, which means less abandonment, and increased UGC collection and a better Instagram presence. Social media users love to be engaged. Imagine running Buzzfeed-style quizzes (“What type of pizza are you?”) centered around your brand and capturing emails in the process? 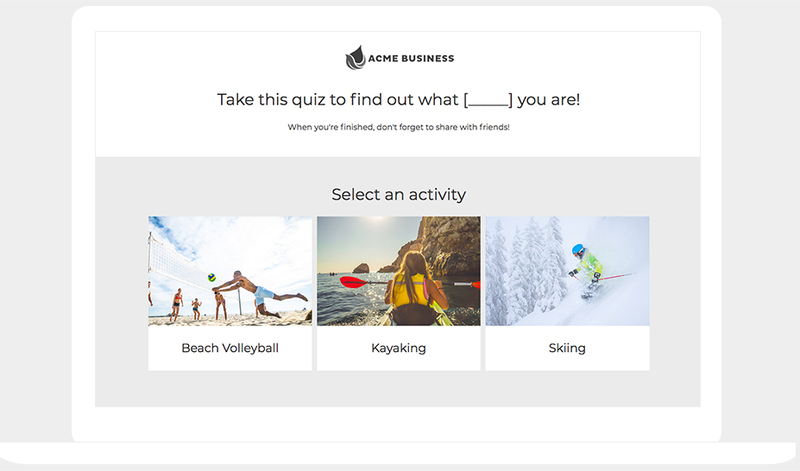 Personality Quizzes give you the opportunity to introduce your brand to consumers through a series of questions, and they help you understand your following more thoroughly by receiving direct feedback. Imagine you have a handful of products or services you are trying to gauge demand on. Wouldn’t it be helpful to poll consumers for a better understanding of their preferences before making key decisions? 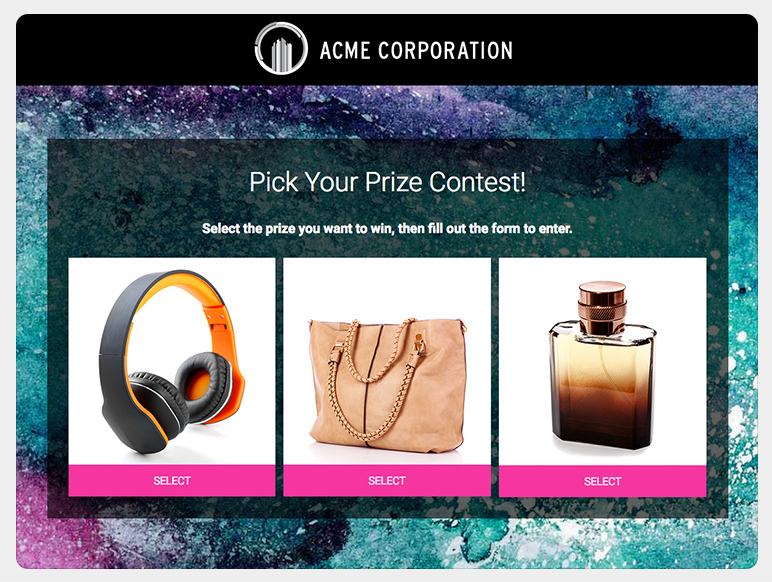 Pick Your Prize Giveaways afford you the opportunity to present a series of options to consumers, so people can choose the one they’d like the win; in return, you receive feedback and emails. For an extra win, segment your list based on whichoption people who entered have selected, and then email them information regarding their choice. You probably implement many of these strategies already, and if you’re implementing all four, congratulations, you are killing it! If you’re not, however, take a moment to see where these strategies can fill the voids in your current efforts. You’ll be well on your way to becoming an Instagram star!